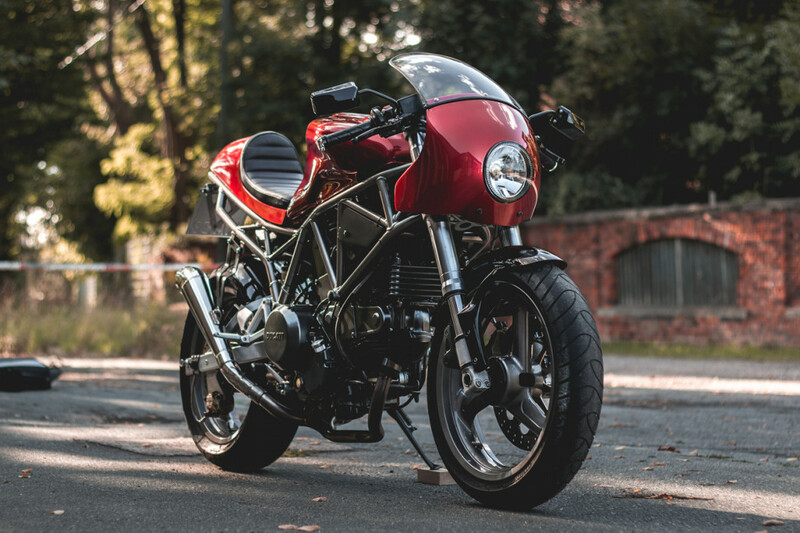 We are big fans of family-run workshops, especially when they turn out staggering beauties like this 2001 Ducati 750SS cafe racer. 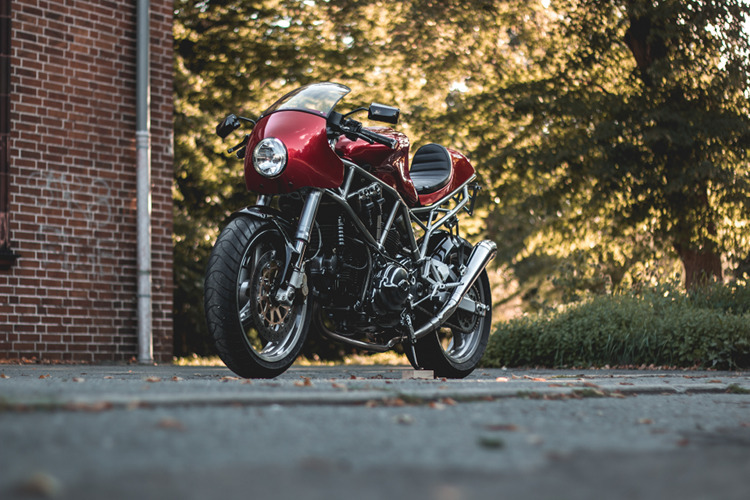 This is the most sophisticated build to date from twin brothers Jimmy and Mick of Kaspeed Custom Motorcycles, who build bikes with their father, Karsten, in Saxony, Germany. 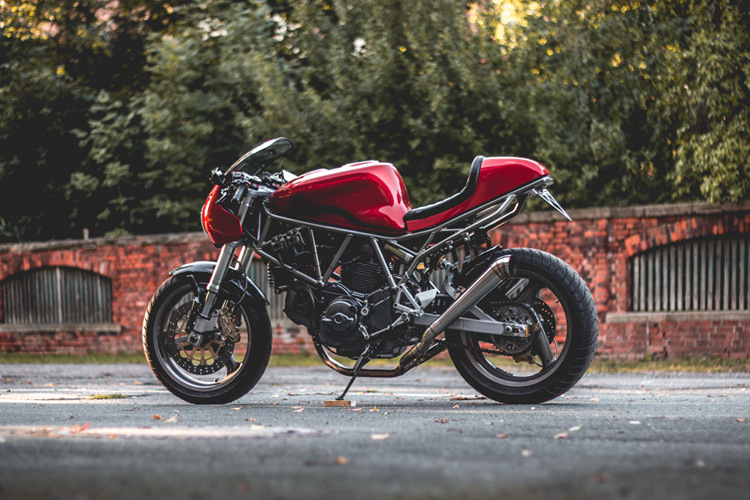 Jimmy and Mick both have technical jobs in the automotive industry, and their father has been passionate about bikes since the 70s. 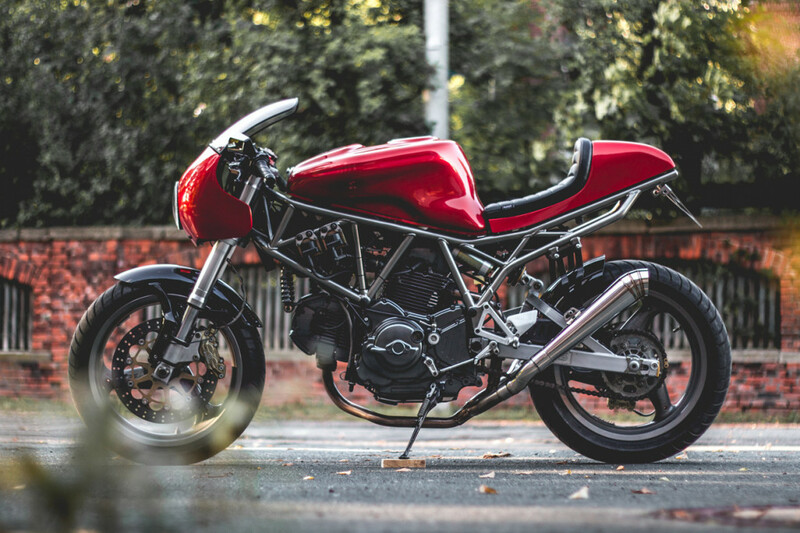 With this Ducati, they knew they were in for a challenge, as the original lines of the bike did not lend themselves readily to a cafe racer transformation. Fortunately, the crew was up to the task, extensively reworking the frame and creating carbon-fiber, Kevlar, and fiberglass bodywork in-house. 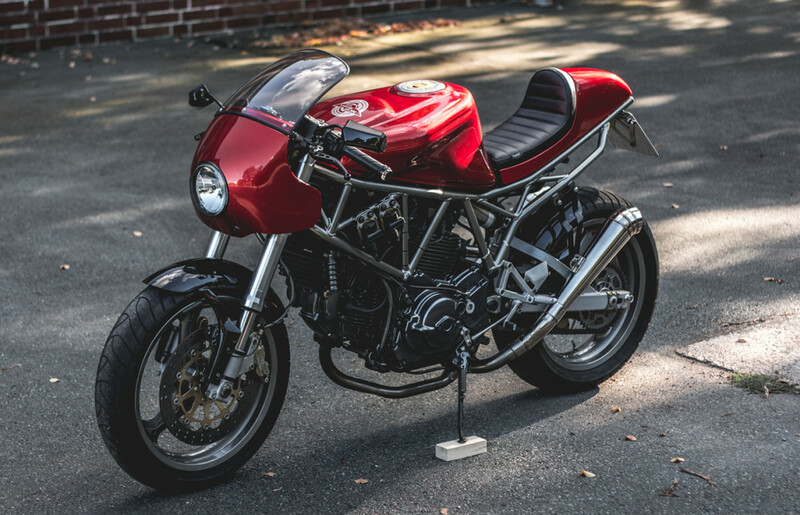 Below, we get the full story on this Ducati cafe racer. 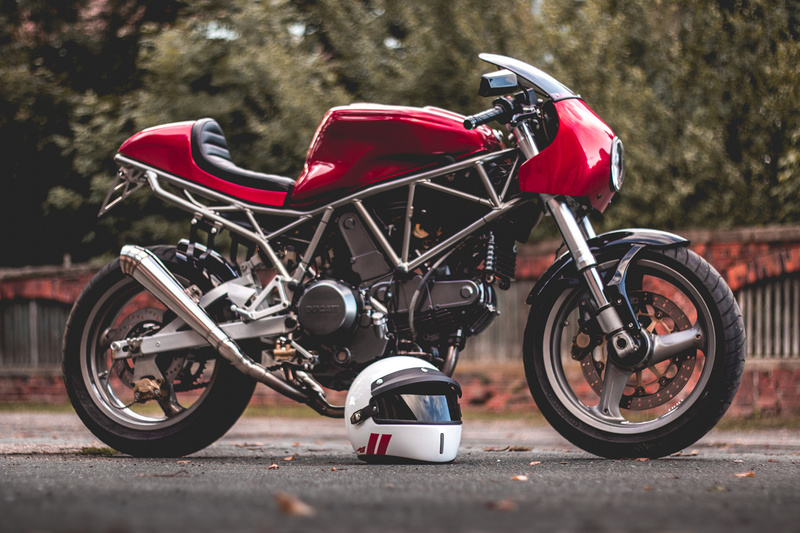 A modern Cafe Racer based on a 2001 Ducati 750 SuperSport. We premiered the bike at the Glemseck 101 festival in Germany just recently. 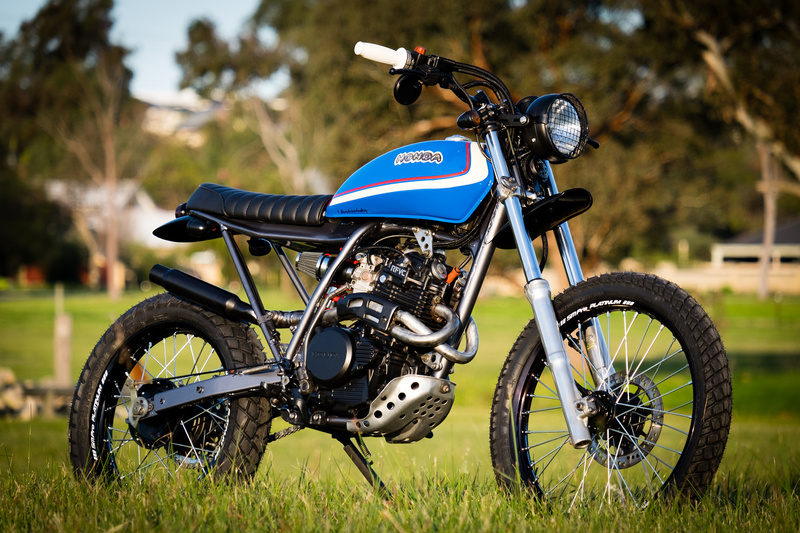 This bike is definitely our most sophisticated build to date. Even before when we acquired the bike, we knew it would be a tough task to turn this bike into a cafe racer given the wide and curvy gas tank and not really straight top frame lines. But we were up for a challenge. 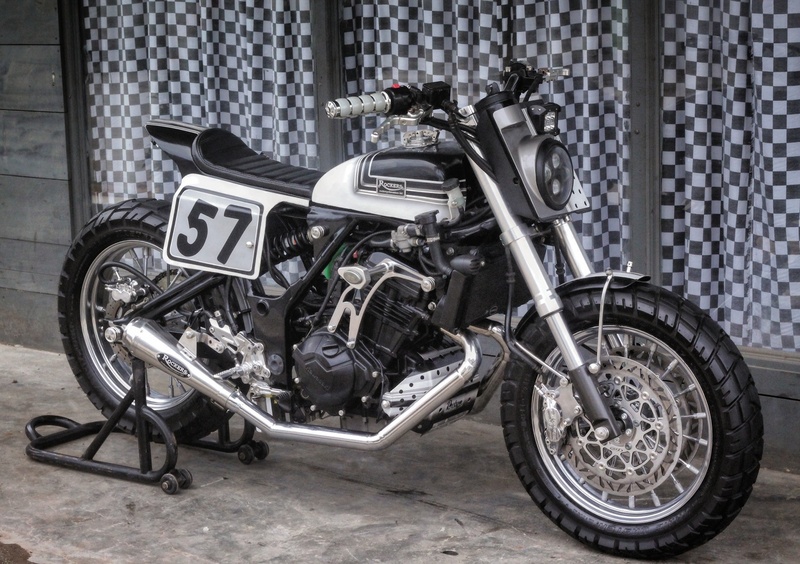 Before taking the whole motorcycle apart, the rear frame was extensively modified. It was tightened towards the rear end, shortened and simplified so only a single rear tube remains. Finally, the hole frame was de-tabbed. 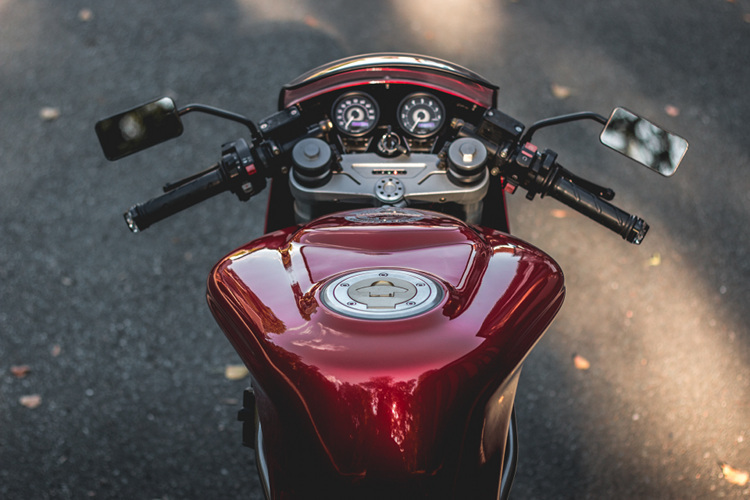 We wanted to create a seamless connection between front and rear bodywork from the front fairing all the way to the seat cowl. 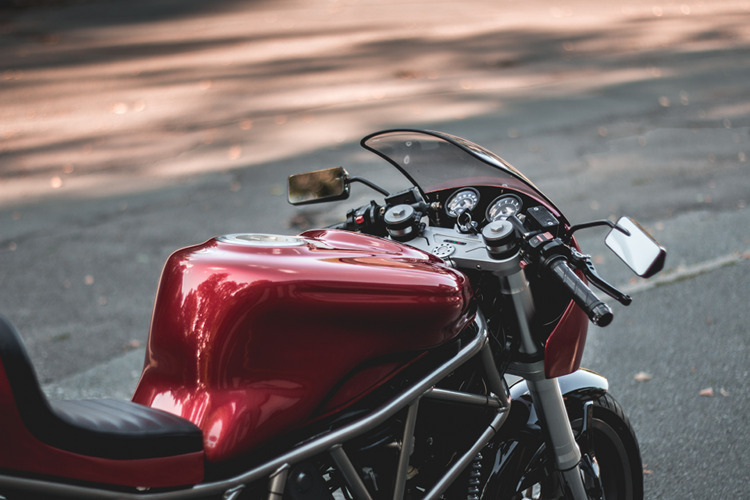 Starting from the front, we found a distinct front fairing with Moto Guzzi Le Mans style, that was shaped to support the classic and racer like look. It was also adopted to a smaller front light diameter. In the middle of the bike, we cleaned the gas tank from the pad to add the needed flow. 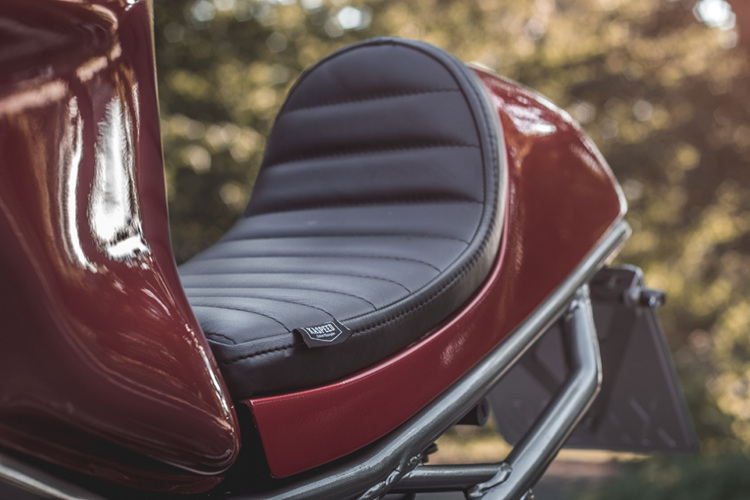 For the rear end a hand-built seat cowl was shaped from scratch with all mold fabrication done in-house. Also, the final lay-up with carbon-fibre, Kevlar and fibre glass was done at the workshop. A fitting single seat was made by a local upholsterer. While completely stripping the bike, we refurbished all worn parts and integrated the new electronic components. The exhaust manifold was polished and we fitted two GP-style exhausts with custom mounts to underline the modern racer intention. 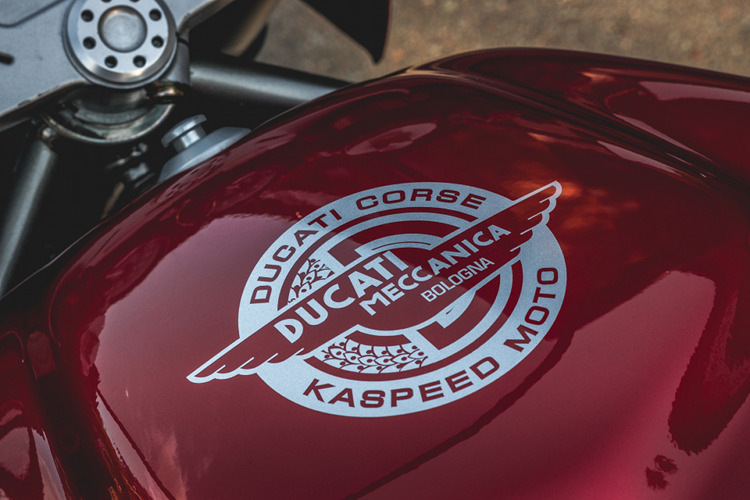 We wanted to keep the paint scheme simple to let the shapes speak — the logo on the gas tank is a reminder to Ducati’s racing heritage. The paint is finished in Ferrari Rosso Fuoco (fire-red) which is a sophisticated three-layer paint. We actually do all paint work professionally in-house, since one of us is a trained automotive refinisher. The engine and frame got a new layer of paint as well. Original colours were used on the frame and wheels. A fitting dark grey metallic paint was chosen for the engine to create a little contrast. With the reassembly of the bike a headlight with LED parking light ring was mounted to give the front end the modern touch we were aiming for. Two modern retro gauges from Daytona were installed and Motogadget Motosign Mini motorbike warning lights in black were integrated into the upper triple tree via CNC machining. In addition, the bike got LSL levers for the Brembo brakes and Motogadget bar-end indicators. 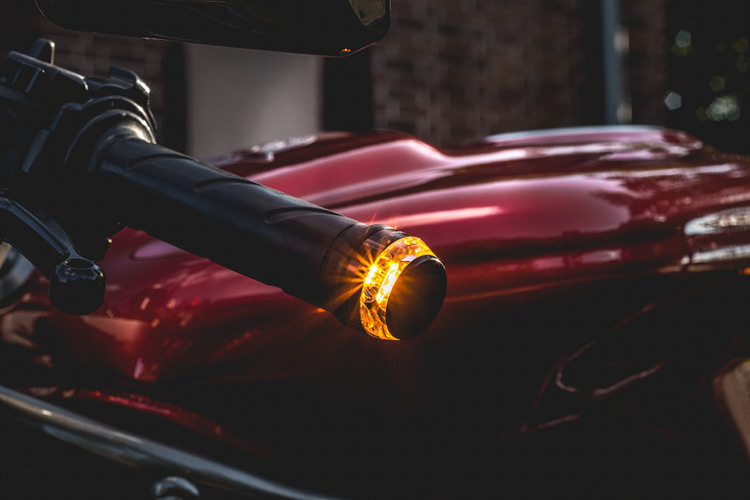 It also comes with a stainless-steel license plate mount including Motogadget mini indicators as well as a small rear light, integrated in the rear tube. The wheels are now hugged by Pirelli Diablo Strada tires. 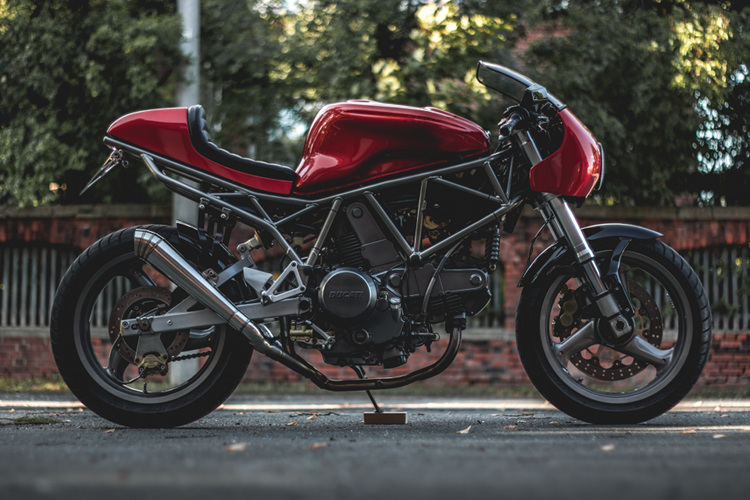 Of course, the Ducati is fully road-legal in Germany. I would be please to answer any further questions you might have about us or about the bike.